All U.S. Citizens; ICTAP and CTAP eligibles in the local commuting area. Also being advertised as job announcement #MS-15-BLS-PL-132 for status applicants & Veterans Employment Opportunity Act (VEOA) applicants. To be considered for each, apply to BOTH jobs. The Department of Labor (DOL) seeks to attract and retain a high performing and diverse workforce in which employees differences are respected and valued to better meet the varying needs of the diverse customers we serve. DOL fosters a diverse and inclusive work environment that promotes collaboration, flexibility and fairness so that all individuals are able to participate and contribute to their full potential. This is an interdisciplinary position and may be filled by either an Economist or a Statistician (Economics). The position is located in the Bureau of Labor Statistics (BLS), Office of Prices and Living Conditions, Division of Consumer Expenditure Surveys, within the Branch of Research and Program Development. BLS is the principal Federal statistical agency responsible for measuring labor market activity, working conditions, and price changes in the economy. Its mission is to collect, analyze, and disseminate essential economic information to support the public and private decision-making that forms the basis of our democratic, free-enterprise system. Like all Federal statistical agencies, the BLS executes its statistical mission with independence, serving its users by providing products and services that are accurate, objective, relevant, timely, and accessible. – This position is inside the bargaining unit. – This position has no further promotion potential. – A writing sample may be required at time of interview. – This announcement may be used to fill additional like positions. – This position will not be filled until the Department’s Placement Assistance Programs have been fully utilized. – Applications for this announcement will be accepted online only by clicking the “Apply Online” button. U.S. Citizens; ICTAP and CTAP eligibles in the Atlanta, Georgia local commuting area. These positions are located in the Department of Labor, Employee Benefits Security Administration (EBSA), Region IV, Regional Office in Atlanta, GA. Each Office initiates, executes, and coordinates civil and criminal investigations of alleged violations of the Employee Retirement Income Security Act of 1974 (ERISA) and conducts financial investigations of all types of employee benefit plans. administration. Also advertised as job announcement MS-15-MSHA-128 for status applicants; to be considered for each, apply to BOTH jobs. DOL seeks to attract and retain a high performing and diverse workforce in which employees differences are respected and valued to better meet the varying needs of the diverse customers we serve. DOL fosters a diverse and inclusive work environment that promotes collaboration, flexibility and fairness so that all individuals are able to participate and contribute to their full potential. This position is located in the Department of Labor, Directorate of Educational Policy and Development, National Mine Health and Safety Academy, Mining Technology Department, Health and Safety Technology Branch. This position is inside the bargaining unit. The position is at the full performance level. DOL seeks to attract and retain a high performing and diverse workforce in which employees differences are respected and valued to better meet the varying needs of the diverse customers we serve. DOL fosters a diverse and inclusive work environment that promotes collaboration, flexibility and fairness so that all individuals are able to participate and contribute to their full potential. This position is located in the Department of Labor, Office of the Assistant Secretary for Administration and Management, Human Resources Division, Chicago, IL. This position has promotion potential to the GS-12 level. There is no obligation to provide future promotions to you if you are selected. Future promotions are dependent on your ability to perform the duties at a higher level, the continuing need for an employee assigned to the higher level, and supervisory approval. – This position is outside the bargaining unit. -PCS is not authorized. DOL seeks to attract and retain a high performing and diverse workforce in which employees differences are respected and valued to better meet the varying needs of the diverse customers we serve. DOL fosters a diverse and inclusive work environment that promotes collaboration, flexibility and fairness so that all individuals are able to participate and contribute to their full potential. This position is located in the Department of Labor (DOL), Employment and Training Administration (ETA), Division of Financial, Management and Administrative services Dallas, TX. This position is at full performance level. This position is inside the bargaining unit. Also advertised as job announcement MS-15-MSHA-133 for status applicants; to be considered for each, apply to BOTH jobs. DOL seeks to attract and retain a high performing and diverse workforce in which employees differences are respected and valued to better meet the varying needs of the diverse customers we serve. DOL fosters a diverse and inclusive work environment that promotes collaboration, flexibility and fairness so that all individuals are able to participate and contribute to their full potential. This position is located in the Department of Labor, Directorate of Educational Policy and Development, National Mine Health and Safety Academy, Department of Instructional Services, Safety Management/Inspection Automation Branch. This position is inside the bargaining unit. The position is at the full performance level. DOL seeks to attract and retain a high performing and diverse workforce in which employees differences are respected and valued to better meet the varying needs of the diverse customers we serve. DOL fosters a diverse and inclusive work environment that promotes collaboration, flexibility and fairness so that all individuals are able to participate and contribute to their full potential. This position is located in the Department of Labor, Educational Policy and Development Directorate, Educational Field and Small Mine Services, Denver Branch. This position is outside the bargaining unit. Relocation expenses are not authorized for this position. The position is at the full performance level. Also being advertised as job announcement MS-15-MSHA-131 for status applicant. To be considered for each, apply to BOTH jobs. DOL seeks to attract and retain a high performing and diverse workforce in which employees differences are respected and valued to better meet the varying needs of the diverse customers we serve. DOL fosters a diverse and inclusive work environment that promotes collaboration, flexibility and fairness so that all individuals are able to participate and contribute to their full potential. This position is located in the Department of Labor, Bureau of Labor Statistics, Nashville, TN. The selectee for the (Nashville, TN.) office will be placed on a 100% telework agreement, with no reporting office. This position has promotion potential to GS-12 . Promotion Potential : There is no obligation to provide future promotions to you if you are selected. Future promotions are dependent on your ability to perform the duties at a higher level, the continuing need for an employee assigned to the higher level, and supervisory approval. – This position is inside the bargaining unit. DOL seeks to attract and retain a high performing and diverse workforce in which employees differences are respected and valued to better meet the varying needs of the diverse customers we serve. DOL fosters a diverse and inclusive work environment that promotes collaboration, flexibility and fairness so that all individuals are able to participate and contribute to their full potential. This position is located in the Department of Labor, Bureau of Labor Statistics, Raleigh, NC. This position has promotion potential to GS-12 . Promotion Potential : There is no obligation to provide future promotions to you if you are selected. Future promotions are dependent on your ability to perform the duties at a higher level, the continuing need for an employee assigned to the higher level, and supervisory approval. – This position is inside the bargaining unit. DOL seeks to attract and retain a high performing and diverse workforce in which employees differences are respected and valued to better meet the varying needs of the diverse customers we serve. DOL fosters a diverse and inclusive work environment that promotes collaboration, flexibility and fairness so that all individuals are able to participate and contribute to their full potential. This position is located in the Department of Labor, Bureau of Labor Statistics, Jacksonville, FL. The selectee for the (Jacksonville, FL.) office will be placed on a 100% telework agreement, with no reporting office. This position has promotion potential to GS-12 . Promotion Potential : There is no obligation to provide future promotions to you if you are selected. Future promotions are dependent on your ability to perform the duties at a higher level, the continuing need for an employee assigned to the higher level, and supervisory approval. – This position is inside the bargaining unit. U.S. Citizens; ICTAP and CTAP eligibles in the local commuting area. Also being advertised as job announcement #MS-15-PHIL-OWCP-0127 for status applicants, Veterans Employment Opportunity Act (VEOA) applicants & persons eligible under these non-competitive authorities: Veterans’ Recruitment Appointment (VRA) and persons w/disabilities (Schedule A).To be considered for each, apply to BOTH jobs. DOL seeks to attract and retain a high performing and diverse workforce in which employees differences are respected and valued to better meet the varying needs of the diverse customers we serve. DOL fosters a diverse and inclusive work environment that promotes collaboration, flexibility and fairness so that all individuals are able to participate and contribute to their full potential. This position is located in the Department of Labor, Office of Workers Compensation Programs, Sub-District Office of the Division of Coal Mine Workers’ Compensation Programs (OWCP/DCMWC) in Parkersburg, West Virginia. The mission of the office is to provide black lung benefits and medical treatment coverage to coal miners who have been totally disabled by chronic dust disease of the lungs arising out of employment in the Nation’s coal mines, as well as to provide benefits to the survivors of coal miners who died from the disease. The incumbent provides technical assistance in developing evidence in support of claims. -This position has promotion potential to GS-12. Promotion Potential: There is no obligation to provide future promotions to you if you are selected. Future promotions are dependent on your ability to perform the duties at a higher level, the continuing need for an employee assigned to the higher level, and supervisory approval. -This position is inside the bargaining unit. -Additional selections may be made from this vacancy announcement. This position is located in the Division of Federal Employees’ and Energy Workers Compensation (FEEWC), which is one of the national office divisions in the Office of the Solicitor. The Division is responsible for providing legal services to the Office of Workers Compensation Programs (OWCP) in connection with workers’ compensation claims under the Energy Employees Occupational Illness Compensation Program (EEOICPA), the Federal Employees’ Compensation Act (FECA), and related statues. The division also provides legal services to all agencies of the Department in connection with the Federal Tort Claims Act (FCTA), Military Personnel and Civilian Employee Compensation Act (MPCECA), and related statues. This is a Pathways Internship Appointment. Appointments made under this announcement may be non-competitively converted to permanent without further competition upon completion of educational requirements. U.S. Citizens; ICTAP and CTAP eligibles in the local commuting area. Also being advertised to status eligibles under job announcement MS-15-ETA-OUI-123. To be considered for both, you MUST apply to both. This position is located in the U.S. Department of Labor (DOL), Employment and Training Administration (ETA), Office of Unemployment Insurance (OUI), Division of Unemployment Insurance (UI) Operations. OUI is responsible is responsible for oversight of Federal-State Unemployment Insurance and related income support programs. The incumbent provides direction to UI Program Specialists responsible for UI Tax Administration; and oversees and monitors state tax program operations, interprets Federal legislation, and provides authoritative direction and advice on program requirements to state agency officials. DOL seeks to attract and retain a high performing and diverse workforce in which employees differences are respected and valued to better meet the varying needs of the diverse customers we serve. DOL fosters a diverse and inclusive work environment that promotes collaboration, flexibility and fairness so that all individuals are able to participate and contribute to their full potential. This position is located in the Department of Labor, Occupational Safety and Health Administration, Directorate of Training and Education (OSHA-DTE) in Arlington Heights, IL. – This position is inside the bargaining unit. – Permanent Change of Station (PCS) costs are not authorized. – This position has no promotion potential. DOL seeks to attract and retain a high performing and diverse workforce in which employees differences are respected and valued to better meet the varying needs of the diverse customers we serve. DOL fosters a diverse and inclusive work environment that promotes collaboration, flexibility and fairness so that all individuals are able to participate and contribute to their full potential. This position is located in the Department of Labor, Occupational Safety and Health Administration, Directorate of Training and Education (OSHA-DTE). – This position has no promotion potential. – This position is inside the bargaining unit. – Permanent change of station (PCS) costs are not authorized. U.S. Citizens; ICTAP and CTAP eligibles in the local commuting area. Also being advertised as Vacancy Announcement# MS-15-BLS-OT-160 for status applicants and Veterans Employment Opportunity Act (VEOA) applicants. To be considered for each, apply to BOTH jobs. The Department of Labor (DOL) seeks to attract and retain a high performing and diverse workforce in which employees differences are respected and valued to better meet the varying needs of the diverse customers we serve. DOL fosters a diverse and inclusive work environment that promotes collaboration, flexibility and fairness so that all individuals are able to participate and contribute to their full potential. These positions are located in the DOL, Bureau of Labor Statistics (BLS), Office of Technology and Survey Processing, Directorate of Technology and Computing Services, Division of Technology and Network Management, Data Center and Telecommunications Branch. 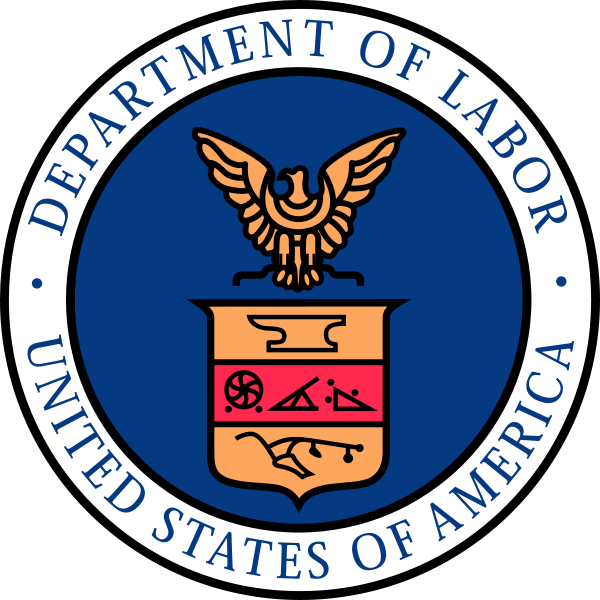 BLS is the principal Federal agency responsible for measuring labor market activity, working conditions, and price changes in the economy. Its mission is to collect, analyze, and disseminate essential economic information to support public and private decision-making. As an independent statistical agency, BLS serves its diverse user communities by providing products and services that are objective, timely, accurate, and relevant. OTSP provides IT support to all aspects of BLS data development initiatives. – These positions have no further promotion potential. – These positions are inside the bargaining unit. – A writing sample may be required at time of interview. – This announcement may be used to fill additional like vacancies. – These positions will not be filled until the Department’s Placement Assistance Programs have been fully utilized. – Applications for this announcement will be accepted online only by clicking the “Apply Online” button. U.S. Citizens; ICTAP and CTAP eligibles in the local commuting area. Also being advertised as Vacancy Announcement# MS-15-BLS-OT-162 for status applicants and Veterans Employment Opportunity Act (VEOA) applicants. To be considered for each, apply to BOTH jobs. DOL seeks to attract and retain a high performing and diverse workforce in which employees differences are respected and valued to better meet the varying needs of the diverse customers we serve. DOL fosters a diverse and inclusive work environment that promotes collaboration, flexibility and fairness so that all individuals are able to participate and contribute to their full potential. This position is located in the Division of Fair Labor Standards, one of the divisions in the National Office of the Solicitor of Labor. The Associate Solicitor for Fair Labor Standards is responsible for the overall planning and direction of the Departments administration and enforcement of the Fair Labor Standards Act (including child labor), Family and Medical Leave Act, Migrant and Seasonal Agricultural Worker Protection Act, various contract labor standards statutes (including the Davis-Bacon and Related Acts and the Service Contract Act), Title III of the Consumer Credit Protection Act, Employee Polygraph Protection Act, various worker protection provisions of the Immigration and Nationality Act, numerous laws protecting environmental, safety and corporate whistleblowers, and other statutes. The Division specifically is responsible for appellate litigation and the preparation of regulations, interpretations, and opinions pertaining to these statutes and for otherwise advising the Solicitor and the Departments other agencies on matters within the Divisions program area. The incumbent serves as a Paralegal Specialist and provides a variety of substantive legal assistance in support of the professional attorney work of the Division, particularly concerning litigation matters including review and control of incoming appellate cases, legal research, preparation of legal documents and reports, and related duties. This position has promotion potential to GS-11. This position is inside the bargaining unit. U.S. Citizens and ICTAP and CTAP eligibles in the local commuting area. This position is in the U.S. Department of Labor/Employee Benefits Security Administration ( EBSA ) Boston, MA. EBSA protects the pension, health and other employee benefits of over 150 million participants and beneficiaries in private sector employee benefit plans. To help assure the integrity and effective management of the private pension and health benefit plan system, EBSA assists workers in understanding their rights and benefits, educates plan sponsors and officials about their statutory responsibilities to prevent violations from occurring, and deters and corrects violations of the law where health benefits and pension security are at risk. Comprehensive investigations are conducted to determine if pension and health benefit plans are operated and administered in accordance with the Employee Retirement Income Security Act of 1974 (ERISA) and whether plan funds, operations, and financial investments are managed prudently. This position is inside the bargaining unit This position is at the full performance level and has no promotion potential. U.S. Citizens; ICTAP and CTAP eligibles in the local commuting area. Also, being advertised as job announcement #MS-15-HRC-OW-252 for status applicants, Veterans Employment Opportunity Act (VEOA) applicants & persons eligible under these non-competitive authorities: 30% or more compensably disabled veterans; persons w/disabilities (Schedule A); present/former Peace Corps (PC) personnel & former PC volunteers. To be considered for each, apply to BOTH jobs. DOL seeks to attract and retain a high performing and diverse workforce in which employees differences are respected and valued to better meet the varying needs of the diverse customers we serve. DOL fosters a diverse and inclusive work environment that promotes collaboration, flexibility and fairness so that all individuals are able to participate and contribute to their full potential. This position is located in the Office of Workers’ Compensation Programs (OWCP), Division of Longshore and Harbor Workers’ Compensation (DLHWC), Branch of Financial Management and Insurance (BFMI). The Division develops, establishes, and implements the operational program policies, legislative proposals, regulations, and procedures necessary for the administration of the Department of Labor’s (DOL) responsibilities under the following workers’ compensation laws and their amendments: (1) Longshore and Harbor Workers’ Compensation Act; (2) District of Columbia Workers’ Compensation Act; (3) Defense Base Act; (4) Outer Continental Shelf Lands Act; (5) Non-appropriated Fund Instrumentalities Act; and The mission of the Branch is to oversee and implement the program’s operational policies, regulations and procedures necessary for the authorization of insurance carriers and self-insurers to provide Workers’ Compensation liability protection for covered workers under the authorized legislation; for the oversight of security deposits by self-insurers; for the calculation, billing, and collection of the annual assessment for the Special Fund and other Funds as may be created; for the activities necessary to ensure timely and accurate accomplishment of all fiscal functions for the DLHWC National Office, and for handling related contacts with outside parties. The Branch is also tasked with management of the automated Longshore Disbursement Systems (LDS) and other insurance and financial data management systems. The full performance level of this position is GS-15. This position is outside the bargaining unit. When disaster strikes, America looks to FEMA. Now FEMA looks to you. Join our team and use your talent to support Americans in their times of greatest need. The Federal Emergency Management Agency (FEMA) prepares the nation for all hazards and manages Federal response and recovery efforts following any national incident. We foster innovation, reward performance and creativity, and provide challenges on a routine basis with a well-skilled, knowledgeable, high performance workforce. Please visit http://www.fema.gov for additional information. This position is located in the Office of the Chief Information Officer (OCIO), Mission Support Bureau (MSB), Federal Emergency Management Agency (FEMA) in Anniston, AL. This position starts at a salary of $58,562 (GS-11). Apply for this exciting opportunity to become a member of the OCIO team within FEMA! EMERGENCY ASSIGNMENT: Every FEMA employee has regular and recurring emergency management responsibilities, though not every position requires routine deployment to disaster sites. All positions are subject to recall around the clock for emergency management operations, which may require irregular work hours, work at locations other than the official duty station, and may include duties other than those specified in the employee’s official position description. Travel requirements in support of emergency operations may be extensive in nature (weeks to months), with little advance notice, and may require employees to relocate to emergency sites with physically austere and operationally challenging conditions. This position is being announced under FEMA’s CORE Program (Cadre of On-call Response/Recovery employees). These positions are authorized under P.L. 93-288 to perform temporary disaster work and are funded from the Disaster Relief Fund. Appointments are excepted service, temporary appointments. This is a 2 year temporary appointment in the Excepted Service. All United States Citizens This announcement will close on Wednesday, August 19, 2015 OR the date the 200th application is received, whichever comes first. When disaster strikes, America looks to FEMA. Now FEMA looks to you. Join our team and use your talent to support Americans in their times of greatest need. The Federal Emergency Management Agency (FEMA) prepares the nation for all hazards and manages Federal response and recovery efforts following any national incident. We foster innovation, reward performance and creativity, and provide challenges on a routine basis with a well-skilled, knowledgeable, high performance workforce. This position is being announced under FEMA’s Reservist Program. This is a 2 year appointment in the Excepted Service. Employment is on an intermittent basis. When disaster strikes, America looks to FEMA. Now FEMA looks to you. Join our team and use your talent to support Americans in their times of greatest need. The Federal Emergency Management Agency (FEMA) prepares the nation for all hazards and manages Federal response and recovery efforts following any national incident. We foster innovation, reward performance and creativity, and provide challenges on a routine basis with a well-skilled, knowledgeable, high performance workforce. Please visit http://www.fema.gov for additional information. This is an excepted service position located on a Type I, National Incident Management Assistance Team (IMAT), Response Directorate, Federal Emergency Management Agency (FEMA), Department of Homeland Security (DHS). This position starts at a salary of $58,000 to $62,239; however, based on performance, the maximum salary amount possible over the course of the 4-year appointment is $82,840. Apply for this exciting opportunity to become a member of the National Incident Management Team! EMERGENCY ASSIGNMENT: IMAT employees are subject to a 24-hour on call work schedules in the event of an emergency and be willing to relocated to emergency sites with little notice. The teams deploy as soon as notified to respond and are on the scene within 12 hours. Once on scene, the teams operate and function under intense physical and mental stress until the response mission is accomplished. This service will require irregular and/or long working hours which may be under austere environments that include living and working in temporary facilities such as tents, warehouse, or other expediently established facilities, significant damage to critical infrastructure that prevents ready access to potable water (other than for drinking), other than basic medical care, and other routinely available services. Work may include duties other than those specified in the employees official positions description to include performance of manual labor to support the establishment of team facilitated, subsistence of team members, and distribution of commodities to incident survivors; and may involve some physical exertion including activities such as long periods of standing; walking over rough, uneven, or rocky surfaces; recurring bending, stooping, stretching, reaching, or similar activities; carrying and lifting of moderately heavy items (up to 50 pounds). All U.S. Citizens View common definitions of terms found in this announcement. This announcement will close on, Wednesday, August 19, 2015 OR the 200th application is received, whichever comes first. When disaster strikes, America looks to FEMA. Now FEMA looks to you. Join our team and use your talent to support Americans in their times of greatest need. The Federal Emergency Management Agency (FEMA) prepares the nation for all hazards and manages Federal response and recovery efforts following any national incident. We foster innovation, reward performance and creativity, and provide challenges on a routine basis with a well-skilled, knowledgeable, high performance workforce. This position serves as a Section Chief within the Acquisition Operations Division and will assist the Branch Chief in managing the day-to-day operations and management of staff. This position starts at a salary of $107,325 (GS-14) apply for this exciting opportunity to become a member of the Office of the Chief Procurement Officer, Acquisition Operation Division, team within FEMA. EMERGENCY ASSIGNMENT: Every FEMA employee has regular and recurring emergency management responsibilities, though not every position requires routine deployment to disaster sites. All positions are subject to recall around the clock for emergency management operations, which may require irregular work hours, work at locations other than the official duty station, and may include duties other than those specified in the employee’s official position description. Travel requirements in support of emergency operations may be extensive in nature (weeks to months), with little advance notice, and may require employees to relocate to emergency sites with physically austere and operationally challenging conditions.